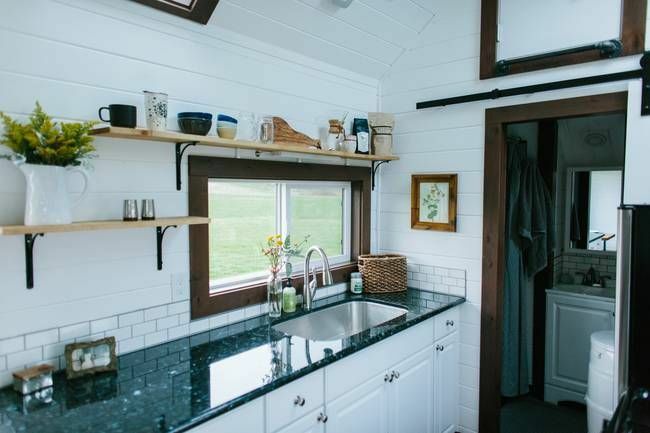 How do you rank the priorities that are important in a tiny home? 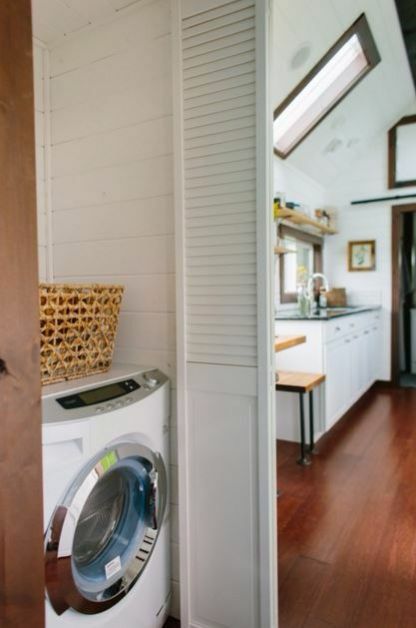 Design is obviously a key factor but so is functionality, versatility, and room for growth. 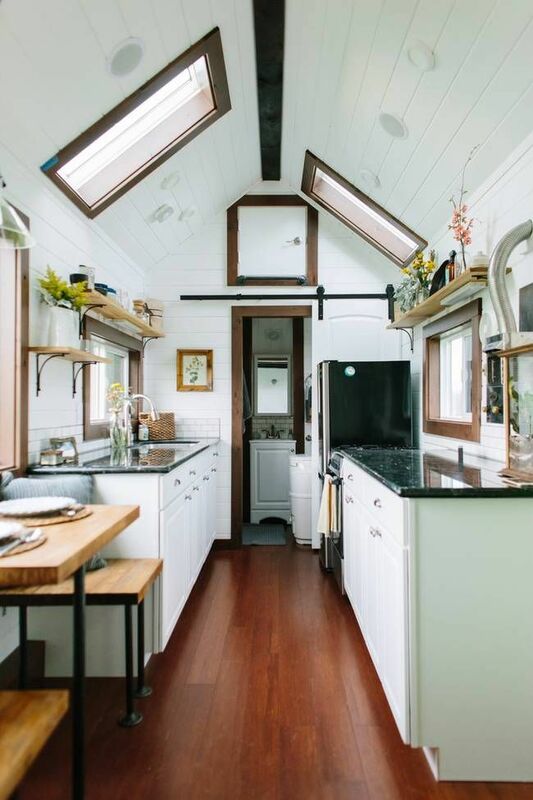 Tiny Heirloom Homes has taken all those considerations into account with their tiny heirloom lux design. 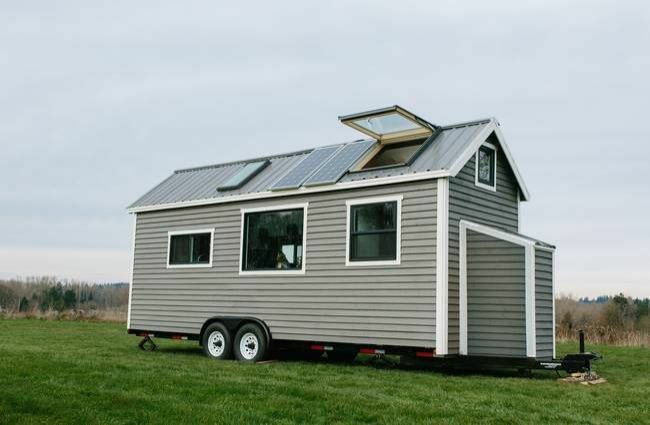 For starters the home is both wind and solar power capable. 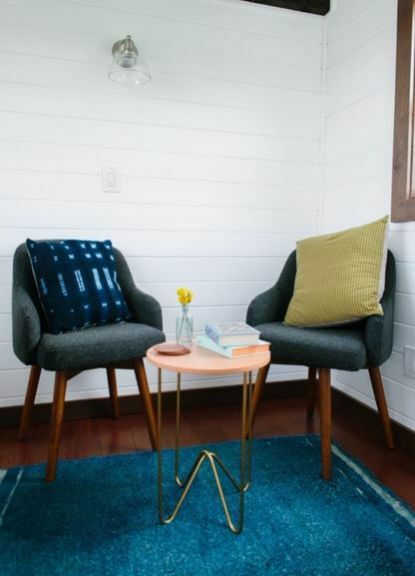 Thanks to integration with Nest Technologies the house is set up for hands free lighting, automated thermostats, and voice activated door locks which are available on many homes. 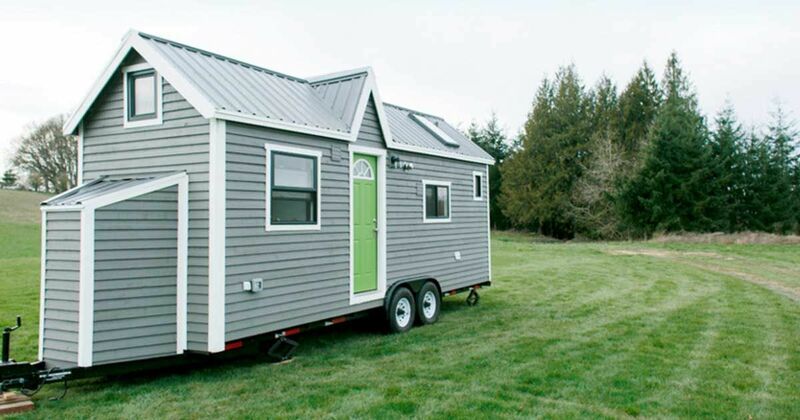 Unique to tiny homes on trailers however is auto-leveling jacks, a tank level indication, and propane level readings all sent to a Smart phone. 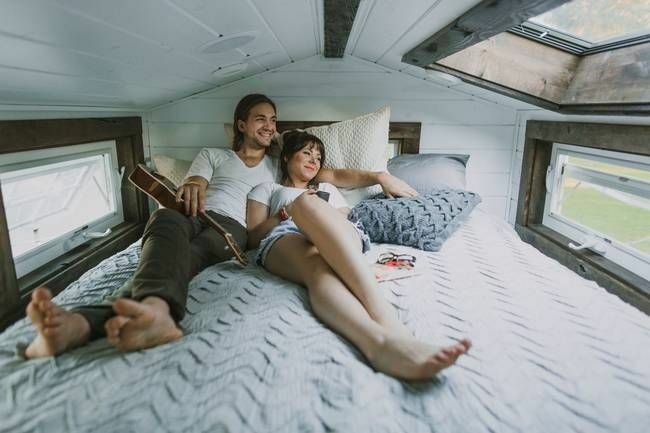 All this with a cool bright interior and while maintaining the distinction as a travel trailer instead of the special-permit-requiring RV classification. A sitting area awaits for you when you enter. The kitchen looks gigantic thanks to the reflective white theme and the two skylights allowing for overhead natural light. 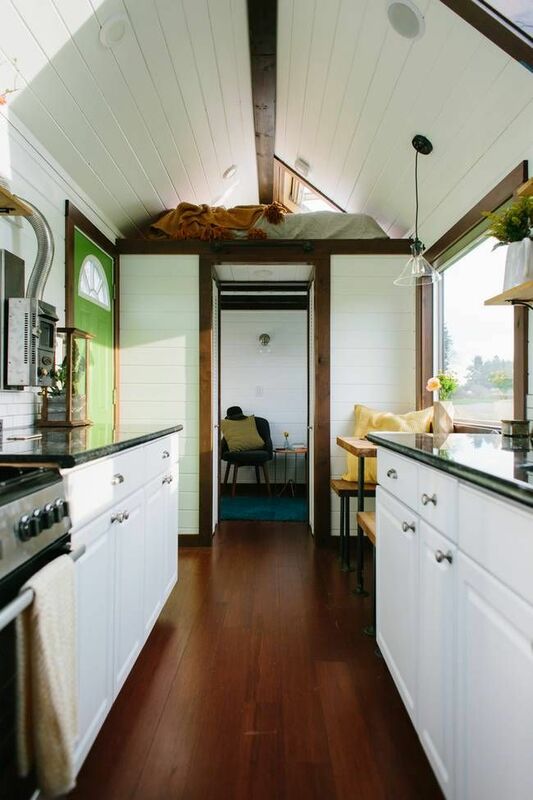 A view in the opposite direction shows the overhead loft and the cordoned off recreational room – a nice reprieve from the familiar open designs of many popular tiny houses. The black granite countertops and wood trim around the windows and doors offers contrast and eases the eyes. The kitchen table isn't the largest, but it does have the advantage of being situated near a large picture window that offers an incredible view. The upstairs loft is constricted by the pitch roof but it still maintains its functionality. 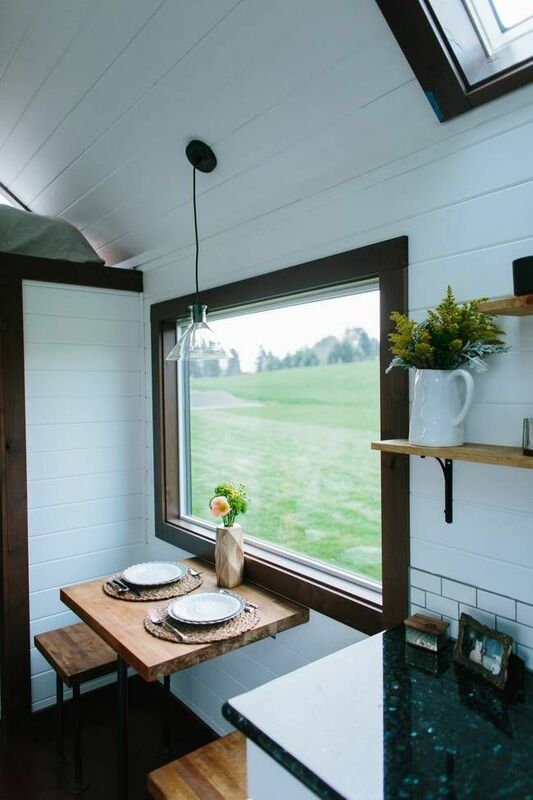 Side windows and a skylight offer a relaxing stargazing alternative to sitting up and watching movies on a laptop.